As many of you know we live in Minnesota. Winters can be harsh here, especially with ice storms. Or even just dramatic temps that are warm enough during the day to melt the snow but then drop overnight and freeze the melted snow making for icy sidewalks in the morning. Countless times I have nearly slipped or done the waving hand trying to regain my balance on the way to my car in the morning. Or slipped and fell in the parking lot while out trying to do a little shopping. And it hurts to fall ice! There is not one ounce of cushion to help break the fall. Just the cold hard ice and parking lot. But if I had been wearing NANOspikes by kahtoola on my shoes I would have no problem walking across any parking lot. 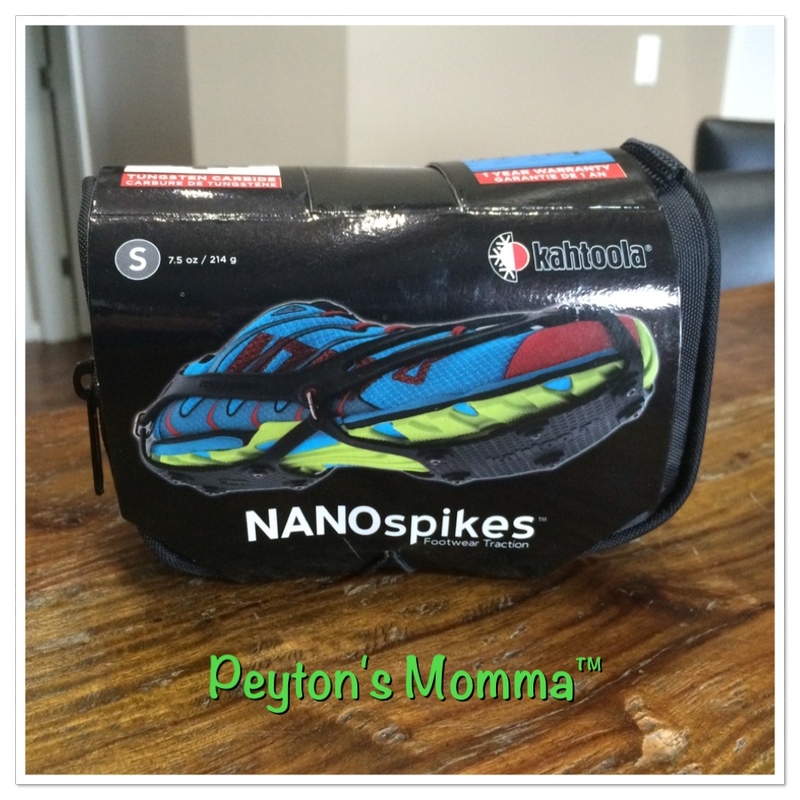 NANOspikes slip over your tennis shoes and have little spikes to help prevent you from slipping and sliding all over. These arrived at the perfect time for us. During the day are temps are warm enough to start melting the snow but overnight they are dropping low and everything is freezing. So when it’s time to take my daughter to school every morning I am trying to navigate through icy sidewalks and driveways. It can make the morning challenging to say the least. The first time I used them was to run out for lunch. It was pretty icy out so I slipped the NANOspikes over my tennis shoes before I went out. It does take a little used to walking with them. I found I had to make sure I lifted up my feet when I walked and not try to shuffle like I’m used to when walking on ice. And the spikes make a clicking sound when walking which remind me of my daughter walking around in her tap shoes. The NANOspikes worked great! I could tell the difference from when I was walking on ice, I felt like I had more control. But when I was on pavement, sidewalk or tile it made loud clicking noises wherever I went. 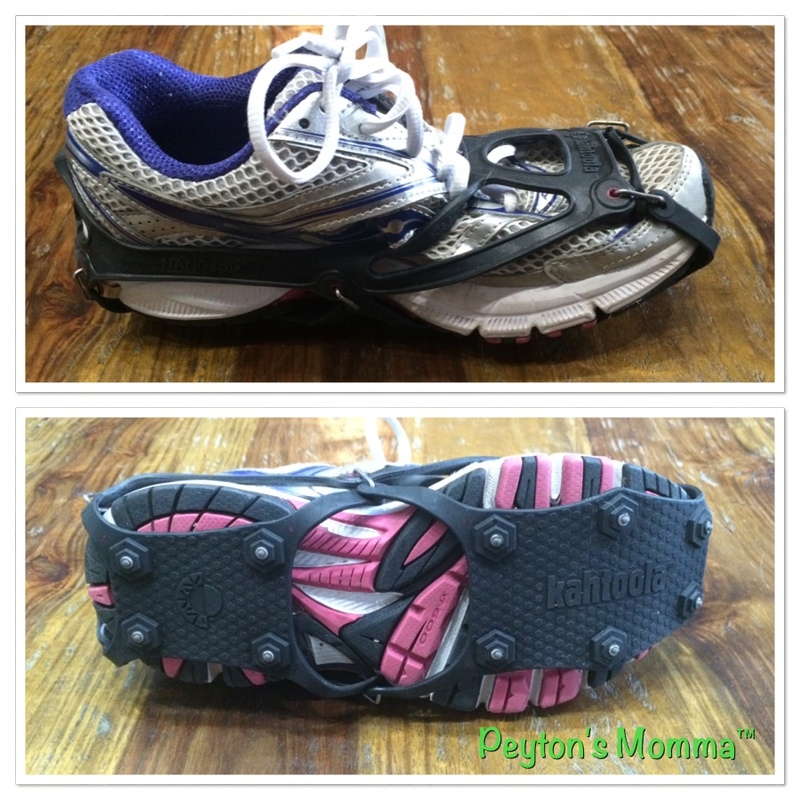 I loved using the NANOspikes to help me navigate the icy walkways. But you do need to take a moment or two when you go inside to stop and take off the NANOspikes and place them in their pouch. That will protect the floor you are walking on, yourself from losing your balance and falling inside and keep your NANOspikes from getting damaged. You can purchase your own pair online at Kahtoola. You can check out their other winter gear products too. 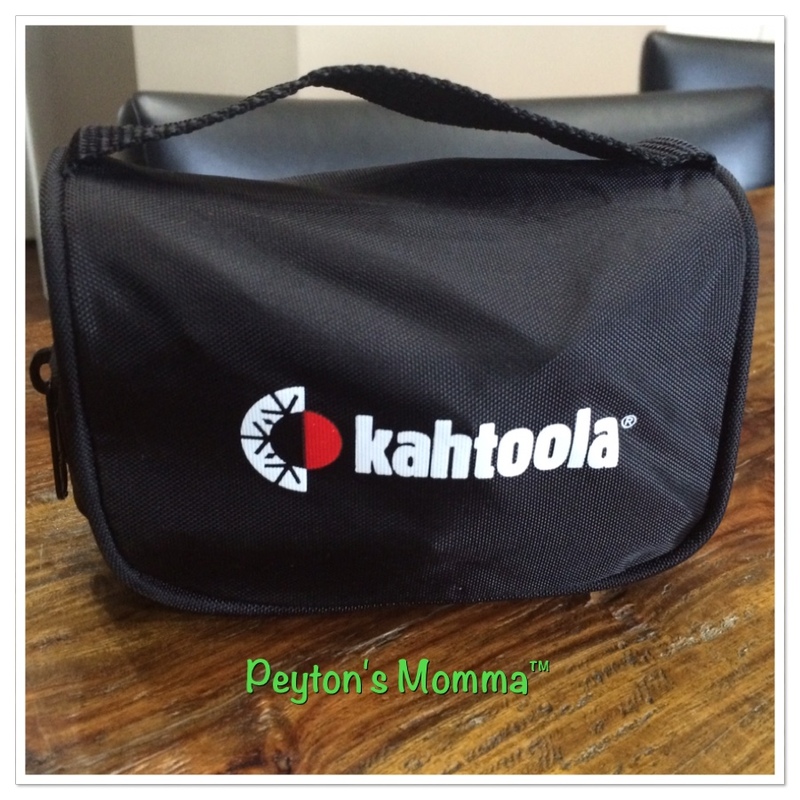 Connect with Kahtoola on Facebook, Pinterest, Instagram, Twitter and YouTube.